For the Matte Painting portion of the Ancient Civilizations Challenge, challengers had to produce two paintings that each needed to represent a different view of the same location. 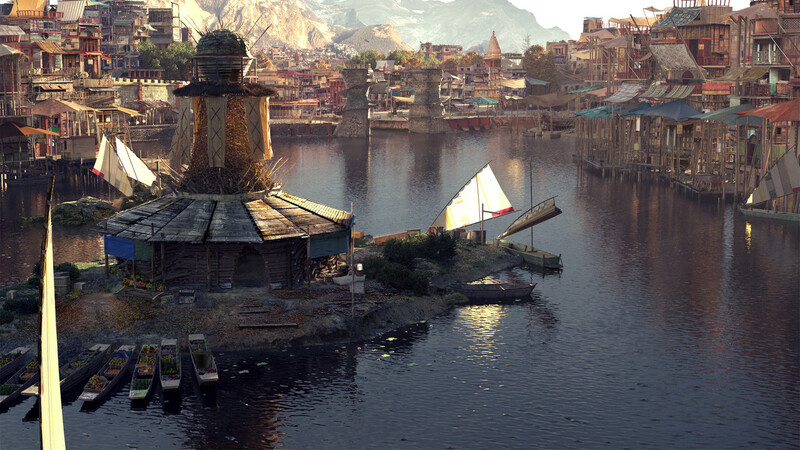 One of the main difficulties in matte paintings is the requirement for them to be highly realistic. 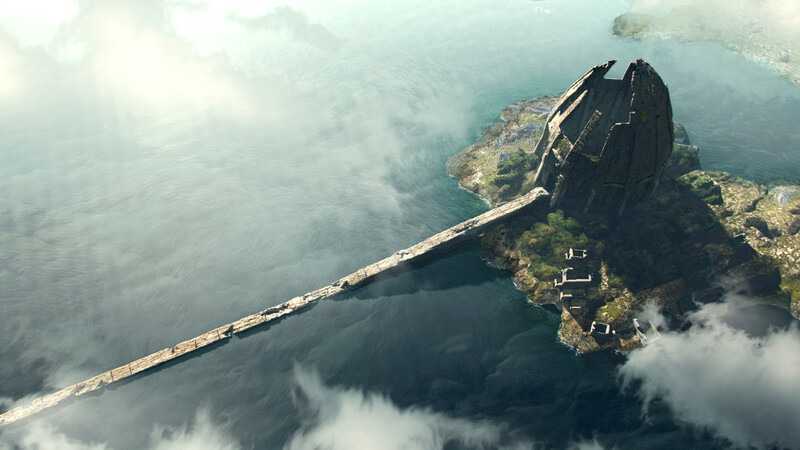 Check out the all the submissions for the Ancient Civilizations Matte Painting Challenge. Get insight and great tips on how to approach a challenge in this interview with our winners, Uriel Leonardo Prado Soria, Maciej Biniek, and Bahadir Özbek. Uriel, you chose to pick a concept from Phase 1 of the Challenge. What drew you to the concept you chose? Uriel: I chose the Aaron Chow’s concept first because of its difficulty to grow as an artist and to increase my mental library by making another style from another culture, and it’s an awesome concept. What do you think it is about your piece that wowed the judges? Uriel: I think the detail in the right places as well as the composition were what made the judges like it. Maciek: I think it was a decent execution, with consistent mood. Along with design that was answering theme, while differing from other submissions. Bahadir: I guess, the interaction between the architecture and the natural lighting in both scenes could be one of the reasons why the jury choosen my work. Secondly, the compositions in both paintings are rather simple and easy to read. Uriel: My main motivation was to raise my hand as an artist and say “Here I am” but not to see how good I am. Maciek: I wanted to test myself out. With barely 2 years of experience in the industry, I decided it is time to compete with people from around the world, and see how it will turn out. That was the right call. It turned out to be good enough for second place! Bahadir: Since I come from a completely different branch than VFX, I just wanted to expand my field and learn new skills. What motivates and fascinates me with digital art/digital matte painting is how you can visualize your ideas as if they really exist. Uriel: My strategy was to gain time with the projections on 3d geometry in the shortest possible time, to add photos with more details and return to the project, a new render with materials to get shadows, lights and reflections then finally compose it with render passes and paint over the result. Maciek: In terms of general approach when only theme was defined, I’ve decided to push my work in order to achieve a feeling called “genius loci” – a spirit of a place. In technical aspect (matte painting), I wanted to create backgrounds providing enough space for action to take place in a scene. Regarding workflow, I’ve started with a 3d layout and simple sculpt for a scene, rendered it out and photobashed towards completion. Creation of projections was skipped, for it was clear the shots was not meant to be animated. Bahadir: When I have a completely free topic, I usually try to define my boundaries so that I remain on a certain path. Then I research on the subject, then I collect my references for the paintings. For the most part, there are references to lighting, architecture, textures and then I try to define my color palette. When I m happy with my first sketches I start with 3d. The rest is just working through. Uriel: There are several entries that I liked by one or another quality, for example Björn Kähler who assumed a challenge of making a Matte Painting deep in the sea, Fabien Collet who started to create an excellent snow material and Paul Mercer, who from early work showed a very clear idea of lighting. I could continue, but in conclusion I started to follow everyone and what I studied and learned from them is the true gift of this contest, thanks to them. Maciek: I remember two other submissions – they were pieces by I Ʌev I and Alan Planes. Both of these guys worked only in 3d. I was watching with awe how Aev created an incredible amount of detail in his sculpt. Alan’s work was going in a very interesting direction in terms of color, design and mood. Bahadir: There were some work which I found very great. Especially Paul Mercer and Maciej Biniek‘s works really speak to me. I like the moody feeling in there. I think the simple compositions make the paintings more readable. Both have a good value range and nice color palette. Uriel: Adding all the detail but without breaking the style you are looking for, was the most difficult. Maciek: The hardest part was the decision to take part in the challenge! Uriel: First, as I mentioned above, to raise my hand and say “here we are”, I’m a proud Mexican but art is stronger than a nation, it has no borders !! And yes, I wanted to win practically for this, to have a space and pronounce in a loud voice that art is an example that borders do not exist. 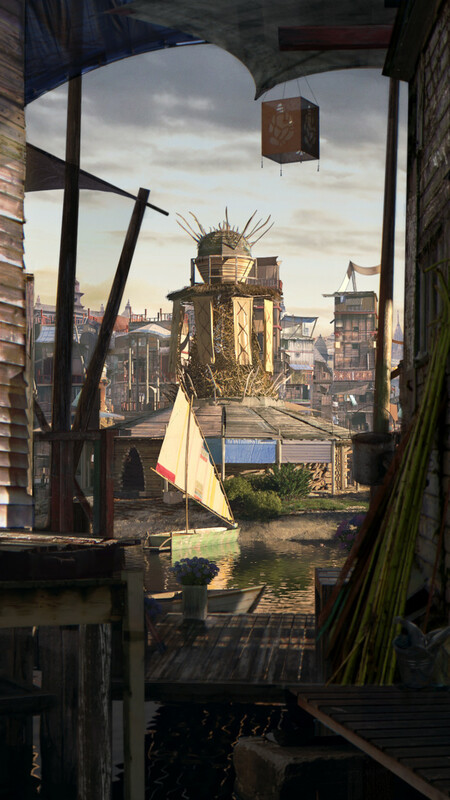 Maciek: I’ve gained a motivational boost to learn more and develop myself both as an artist and as matte painter. A lot of people have seen my work and my number of followers have doubled! Bahadir: I learned that I should work with even more structure and make clearer decisions to save more time. Maciek: No matter what, when you start a challenge, complete it. There is no point in competing when you are planning to lose. Bahadir: You should see your own strengths and do not hesitate to try new ways. The most important thing is having good time management because you don’t want to be sitting the whole time in front of your computer while your family or friends are enjoying the summer. 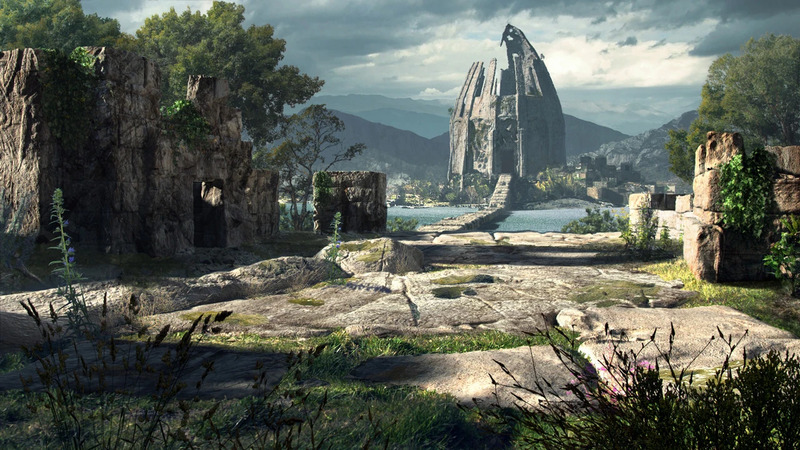 See more submissions for the Ancient Civilizations Film/VFX Matte Painting challenge here.